In this big world of Entrepreneurs, launching a startup or business is not an easy task, but not impossible either. Entrepreneurship requires hard work, efforts, time and resources. Many startups fail due to lack of resources, workforce, time, etc. As per the recent study, 85% of startups fail. Only 15% startups do well in the market. All because of not having a proper planning by the entrepreneurs before launching their startups or businesses. If you want your startup will be the part of that 15% for that you need to put extra efforts in your planning, resources, etc. In short, you need adequate planning for a successful startup. Do work according to below five steps if you want a startup that runs in the market for so long. Launching a startup is not a difficult task, but come up with the uniqueness that would be difficult. 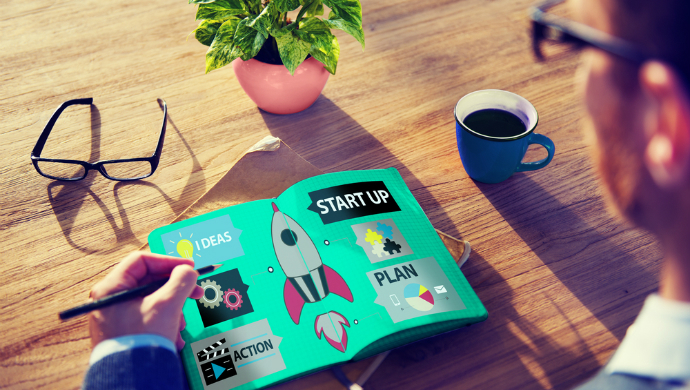 You need some creative business ideas for a successful startup. All these ideas must have profitable products or services. Don’t waste your time to find out new ideas for products always, choose from what is available and do it in better or in a different way. Entrepreneurs are not always innovators, they just take someone’s idea and come up with some uniqueness. – It Solves the customer’s problems. – Your products or services must have some benefits and features. – If your idea existing in the market, find out the differentiating factors. – Do you have resources for the business? You can not do all the things alone. At some point, you need help and for that co-founding is the better option. You’ll get lots of benefits from co-founding that help in your startup success. You may not have all the skills that need for a successful startup. Having co-founders means you can make the strategy as per their skills also, this way work gets done faster. Also, it will increase the company growth. At the starting time of the business, you and your co-founder are committed to the success of the startup. It includes all profits and losses of startups. When the time comes to make the decision, your co-founders will help you to see things differently. It also helps in the growth of the company. In the beginning, don’t focus so much on the money for the startup. Focus on your company’s product and service that will make money for you. Always try to focus on creating a product that people will like to buy. You should have the clear picture of your products and services in your mind. Know the problem you want to solve and how you will solve it. Keep doing the survey with your potential customers, get a feedback on your product or service. It will help you to increase the business for the company. If you have the online presence of your products, then focus on website, content, landing pages, and social media networks. For any successful startup, marketing is the important factor. You can not afford to develop the product and service and wait for the people to come and buy. You need to take some steps to get the customers towards your products or services. Approach your social network first, tell your friends, relatives, and colleagues on your social media network about your startup. Create a professional website for your product or service and also do blogging about them. It is the cost-effective way of marketing of your startup. Go for local events in your community to promote your products or services. Also, offer a free trial, coupons and some discounts on your product and services. Business exists in the market because there are the people to support them. Without them, no business would be successful. You need to know about your customers and their problems and do hard work on how to solve them. Visit forums and communities where your audience spent a lot of time online. Always get to know their problems, what they are struggling with and how your product or service can help them. Use of social media profiles is the perfect option to engage with new customers. Keep doing the posting on your social media profiles about your product and service. You can also find out potential customers on professional networks such as LinkedIn and Quora. Ask feedback about your product or services.